Quantity Discount Price shown is per Bulk Pack Poly Bag of 50 Pieces. 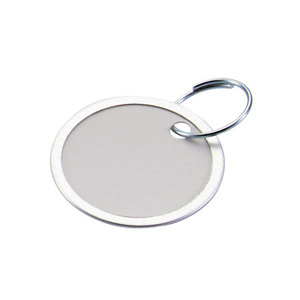 A sturdy white paper board key tag with a silver metal rim along the outside diameter. 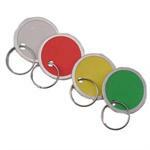 Simply write the key information on the tag for quick and easy key or part identification. 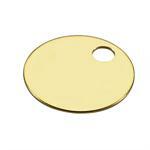 Tag includes an overlapping key ring. 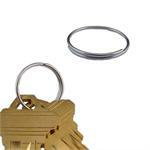 A simple and inexpensive way to sort and organize keys.